This ownership is North Tower Island View. Rare Ocean Front 2 Bed, 2 Bath unit. Annual, Floating Use. Available Presidents Week 2020. 2 Bedroom, 2 Bath with Lockout, Floating Week, Annual Use, Island View - 148,100 StarOptions. Experience the lush beauty of Hawaii with The Westin Kaanapali Ocean Resort Villas North Tower timeshare deals. Perched on the coast of breathtaking Maui, this resort offers timeshare opportunities through Starwood’s Vacation Ownership program. Whether you’re unwinding by the sea or exploring Maui’s nearby villages, buying a Westin Kaanapali Ocean Resort Villas timeshare puts you at the very heart of this island paradise. Situated near laid-back Lahaina, each of the Westin Kaanapali Ocean Resort Villas timeshares for sale is an incredible base for discovering the majesty of Maui. Bask in the island’s year-round warmth and greenery at Haleakala National Park. Wander Historic Lahaina Town. Whatever your vacationing style, Maui’s got a little something for you. More interested in sand and surf? Spend your time at the resort’s stunning property. The Westin Kaanapali Ocean Resort Villas timeshares surround you with tropical luxury, from on-site beaches to private lanais. Plus, with choices ranging from intimate studios to spacious two-bedrooms, you’re sure to find the perfect home away from home. Sailing, scuba, whale-watching: Anything’s possible with Westin. Whether you’re buying a Westin Kaanapali Ocean Resort Villas timeshare resale or sharing a Westin Kannapali Ocean Resort Villas fractional ownership, you’ll have access some of the most amazing amenities on Maui. Spend the afternoon snorkeling. Take in a game of tennis. Savor the most delicious Pacific Rim cuisine at Tropicana Restaurant & Bar. It’s all just steps from your door. Looking for a more quiet getaway? Have a master chef prepare you an exclusive, private dinner in your villa through Westin’s Chefs in Actions program. Feel the Hawaiian trade winds from your personal lanai. Relax in the on-site sauna or try a local cocktail at the poolside bar. With Westin Kaanapali Ocean Resort Villas timeshares, paradise is all about you. The Westin Kaanapali Ocean Resort Villas timeshare deals offer the luxury of a yearly getaway without the hassle and uncertainty of rising hotel costs. Once you choose your villa, you’ll receive a deeded interest and can decide between ownership types. A Fixed villa offers you specific vacation time a one resort. A Float villa gives you the opportunity to travel within a broader season. You can even purchase a larger villa, then divide that purchase into longer vacations. The options are endless. Buying a Westin Kaanapali Ocean Resort Villas timeshare gives you access to even more benefits through Starwood’s Preferred Guest Starpoints. This hotel redemption program lets you exchange your vacation for a trip to one of Starwood’s 1,000 properties. Want to explore the world without breaking your budget? 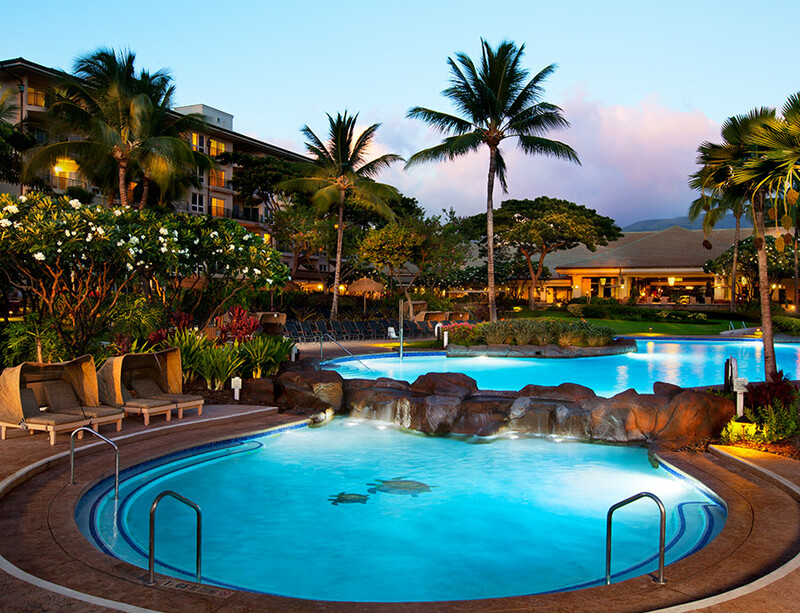 A Westin Kaanapali Ocean Resort Villas timeshare gives you that ability. Looking for a Westin Kaanapali Ocean Resort Villas North Tower timeshare resale? Already an owner and interested in selling your Westin Kaanapali Ocean Resort Villas timeshare? Let Premier Timeshare Resale’s friendly, reliable and dedicated staff guide you through all of your buying and selling needs, no upfront fees or hidden costs included. Reach out to one of our licensed agents today.